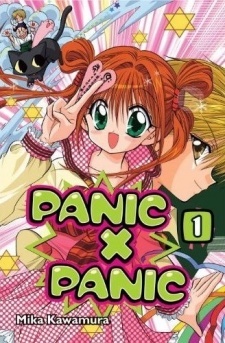 Panic x Panic was published in English by Del Rey from February 23 to August 31, 2010. Each page is like an artist regurgitated all over the canvas. It's such a mess, and I struggled to understand motions, angles, and even the bare essentials of what was taking place in each panel. This was unbelievably ridiculous. With some idea of how characters work, this is definitely the best-scored category. It's still abysmal, though. I mean, everything is so poorly done in this narrative. Each character is so unrealistic as if they were caricatures for teenage fantasies rather than real people. It's such a pain to get through.